Heart disease remains the leading cause of death in the United States for both genders and almost all ethnicities, accounting for 1 in 4 deaths. Every year, about 735,000 Americans have a heart attack (210,000 of which occur in people who have already had a heart attack). But health care providers have better tools than ever to determine a person’s risk of heart attack and craft an appropriately aggressive course of treatment. Individuals with low to low-intermediate risk can usually lower or maintain their risk by incorporating exercise and dietary changes into their lifestyle without having to maintain a drug regimen. Figuring out which of these “intermediate” individuals are at more significant actual risk would enable physicians to better tailor appropriate preventive measures to their patients’ needs. A cardiac calcium test can help by providing information about a patient’s cardiac condition. 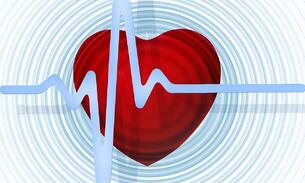 How does a cardiac calcium test help? Calcium and plaque build up naturally in the blood vessels, including those in and around the heart. This worsens with age, as the calcium deposits combine with plaque from dietary fat and stick to the vessel walls, resulting in coronary artery disease (CAD). This stiffens and narrows the passages and can form clumpy fissures that turn into clots of blood and tissue. If the clots rupture and dislodge, they can become stuck in the narrowed vessels, blocking blood flow to the heart and causing a heart attack. It can also can lead to heart failure or arrhythmia (problems with the rate or rhythm of the heartbeat). A cardiac calcium scoring test uses computed tomography (CT) scan imaging to assess the amount of calcium in the blood vessels around the heart. CT provides a more finely detailed image of blood vessels and soft tissue than traditional X-rays because it uses an array of images taken around the area of the body being studied. This collection of two-dimensional images is reassembled using computer software into a detailed, multidimensional view of the coronary arteries. Through examination of this multidimensional image, the radiologist can detect calcium present in the arteries, which is then expressed through a calcium score. The test itself is quick, painless, inexpensive, and low risk. Measuring cardiac calcium levels can help identify those at highest risk. Studies have shown that higher levels of cardiac calcium indicate a greater heart attack risk, regardless of Framingham risk classification. A cardiac calcium score of 0 indicates no buildup or risk; 11-100 indicates some buildup and intermediate risk; and above 400 indicates excessive buildup and high risk. As many as 25% of patients who are at “intermediate risk” based on their Framingham risk assessment score might be classified more accurately into either a higher or lower 10-year risk category by incorporating their cardiac calcium score. If a patient is at high risk, more aggressive preventive treatment can dramatically reduce his or her chances of suffering a heart attack. Check out our online brochure for information about your potential risk of coronary artery disease. If you are at risk, talk to your doctor about whether a CT cardiac calcium test is a good choice for you. 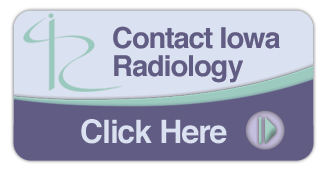 Iowa Radiology offers cardiac calcium scoring to our patients at our Clive and Downtown Des Moines locations. A provider's referral is required.